Ali Larter and her husband Hayes MacArthur welcomed their second child last week. The actress announced the happy news on her website. “It’s a girl! “We couldn’t be more excited to share news of the arrival of Vivienne Margaret MacArthur on Thursday January 15th 2015,” Larter wrote. 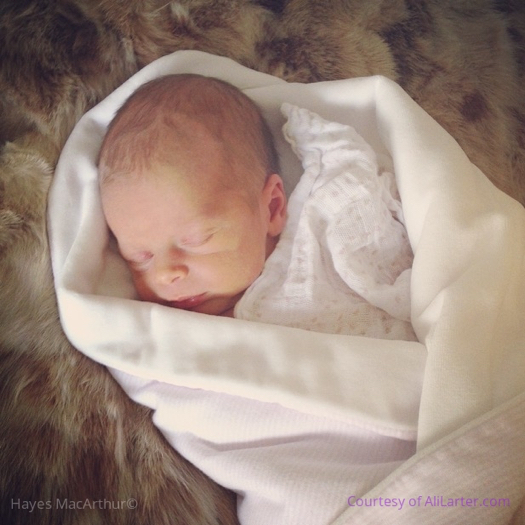 She shared an adorable snapshot of the newborn sleeping while wrapped up in a blanket. Vivienne joins older brother Theodore. “She came bearing gifts for her brother: Batman sheets and lots of Gummy Bears!!! 7.5 lbs of love,” Larter added. Larter revealed she was pregnant again last August.